The Miller Spot: I can't take it! 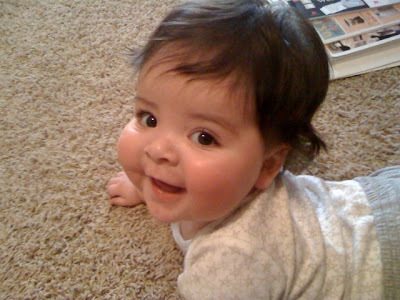 You are seriously delusional if you don't think this baby is awesome. I'll tell you what I can't take, I can't take how much cuter hair down is than hair back. Just scrolling down through the hair back pictures it makes it look like it was a mean joke. This is Natasha. The log in for the bs hates me. I love big baby boys! Van has been hanging around at the 90th percentile range.